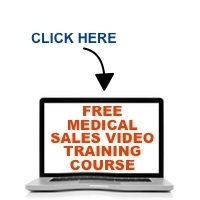 The medical sales landscape is changing, and it is critical that you change along with it. One of the more pressing challenges for medical sales professionals is the increasing need to sell to the C-Suite at the hospital along with the complexities of selling to product evaluation and technology assessment committees. In this podcast episode, Mace Horoff describes why this change is occurring and what you must do to not only grow your sales, but also to hold onto the business that you have. Previous PostSelling GPO/IDN Products to Physicians without Them Feeling Like You’re Trying to Force ThemNext PostDoctor Doesn’t Think That Sales Presentation Skills are Important…and that’s okay!